Do you dream of a perfect chest? For many women, the route to her perfect bust is via breast enhancement surgery. However, deciding on any type of medical surgery should not be taken lightly. If you have already considered other breast enhancement techniques and treatments, you may feel that surgery may be the best option for you. But before you take the final step, we have compiled a list of the advantages and disadvantages of breast enhancement surgery below. If you’re seeking a complete bust transformation, then breast enhancement surgery can be a good option for a dramatic change in appearance. Women who undertake surgery can change the shape, size and appearance in a truly remarkable way. For women who have small breast cups, with the help of implants they can have breasts that they never imagined before. The initial breast enhancement surgery is fast and effective. Often surgery can be completed in just one day although there is a healing/resting process which lasts several weeks. If you’re searching for a fast fix to breast enhancement then surgery can be a good way of achieving this aim. If you suffer from poor self-esteem or confidence because of your breasts, then breast enhancement surgery can provide a massive boosts. The psychological feeling of having visual surgery can be inspiring for most women who will suddenly feel more comfortable showing off their chest and wearing new clothes. Despite improvements in silicone implants and techniques, breast enhancement surgery can still be dangerous and a risk to your health. Complications can include post-surgery bleeding or a build-up of fluids that may require further surgery. 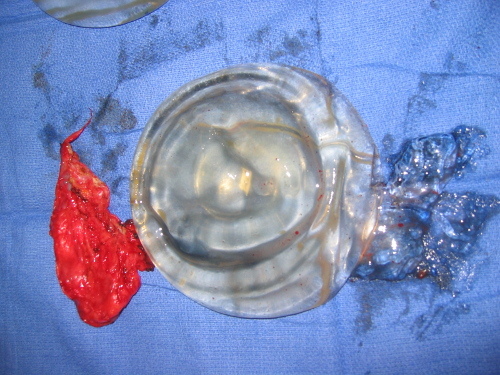 Longer term risks including the implants breaking up or rupturing requiring them to be replaced or removed. You should consider all of these risks as genuine and speak to your doctor first to have a clearer understanding before you go under the knife. All cosmetic surgery is expensive and breast enhancement is one of the most expensive types of surgery you can have. Costs include not just the breast implants, but also the medical team, hospital fees, and other admin/insurance fees. Surgery can seem very expensive compared to other enhancement solutions. Most women who ask for breast enhancement surgery are seeking a substantial change, often going up several cup sizes in one day. This can cause a somewhat unnatural appearance compared to the rest of her body. Some women enjoy this unrealistic appearance however you should consider this when speaking to your consultant surgeon. We hope that this guide has explained the benefits and potential pitfalls of breast enhancement surgery. Considering going under a doctor’s knife can be a difficult one. It is important that you consider all options and discuss your feelings with your family and friends. Breast enhancement surgery can also cost a considerable amount of money and you should understand these costs before you visit a clinic. Good luck with your decision on whatever type of breast enhancement you decide to choose.